Pattern Notes Weave in loose ends as work progresses. Instructions are given for daughter’s sizes small and medium, with changes for mother’s small and medium in parentheses. 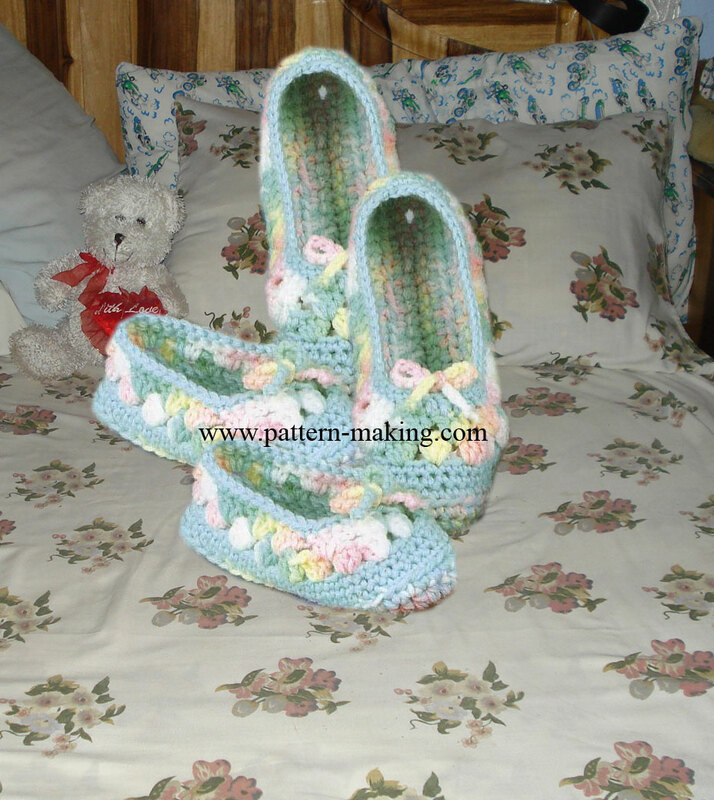 For mother’s and daughter’s small and medium sizes, use crochet hook size G. For mother’s and daughter’s large, use crochet hook size H and medium pattern for both sizes. 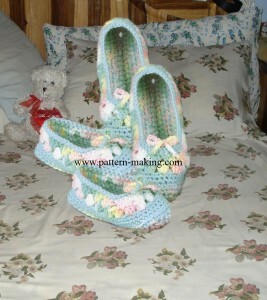 Slippers can be made larger or smaller by adjusting the size of the crochet hook. Sole will cup slightly at heel and toe. Shell: 3 dc in indicated st.